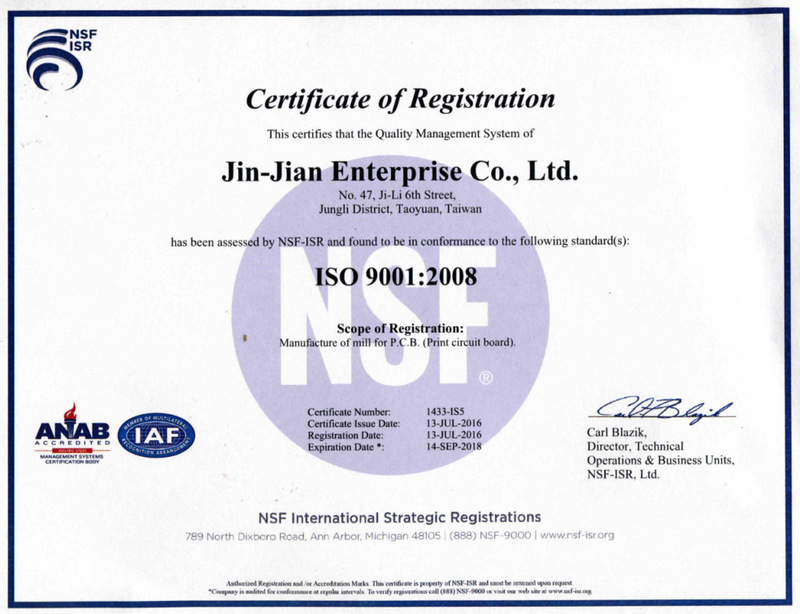 Jin-Jian Enterprise Co., Ltd. Jin-Jian Optronics Co., Ltd.
Jin Jian Enterprise Co.,Ltd was established on 28th July 1967. The enterprise first started with a spectrum of various developments and manufacturing of components and parts for frequency reception, automotive and gases stoves etc. We are also into the business of manufacturing plastic nozzles for spray cans, ballpoint and fountain pens. 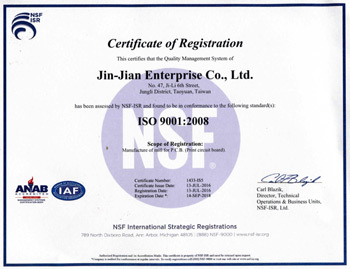 In line with the enterprise plan for business diversification, Jin Jian invested in the development of micro precision cutting tools – Router Bits. We have a R&D team that are capable of developing full solid tungsten carbide router bit that are use for most manufacturing of BGA, single and double side PCB or multi layer PCB. We also invested in fully automated machines and precise inspection equipment to ensure our quality commitment to our customer. Jin Jian is committed to be a one-stop solution hub of router bit for our customer with different series, designs and sizes to suit various cutting conditions and parameters. We work with our customer relentlessly to improve their yield and reduce their cost of production. As such, we had invested in a manufacturing facility in Guangdong Province (China) so as to increased production to satisfy the high demand for our router bits and compete in the international arena. Add: No. 47, Ji-Li 6th St. JUNGLI City320 TAOYUAN TAIWAN R. O. C.
1987 Established Jin Jian Enterprise Co., Ltd.
1987~1998 Developed components and parts for the electronic industries and invested in the cutting tools technology. 1998 Research and development of solid tungsten carbide router bits for PCB. 2002 Invested manufacturing facility in China. 2003 Mass production started in China factory. 2004 The Chinese Shanghai customer center officially had been established. To develop good solid tungsten carbide router bit with innovations without compromising on quality so as to achieve total customer satisfaction. Both facilities in Taiwan and China to invest in high technology machinery and equipment to increase production and ensure quality. We have customers in China, Taiwan and Thailand. To name a few, there are Vertex, CMK-GBM, Nanya PCB, SCT, PCB Center and many more. Our customer list is available upon request. ▲ Ing Wen Precision Ent Co., Ltd.
▲ Intera Precision Metal Products Co., Ltd.
▲ Bothon Construction Co., Ltd.